Tarpons arose from an ancient lineage, and just two species exist today, confined to the tropics and subtropics: Megalops atlanticus in the western and eastern Atlantic and Megalops cyprinoides distributed widely across the Indo-West Pacific. The Atlantic tarpon is considered king of the saltwater sport fishes and supports a multi-billion dollar recreational fishery in the U.S. alone. The Pacific tarpon, which is much smaller, is less valued by anglers. Both have limited commercial value but offer considerable potential for future aquaculture because of their hardiness, rapid growth, and ease of adaptation to captivity. 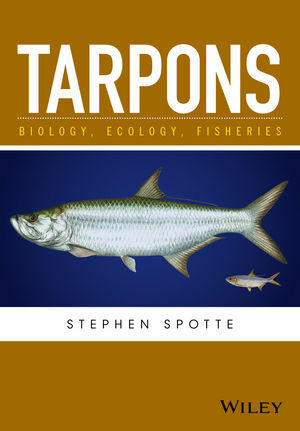 This book is the latest and most thorough text on the biology, ecology, and fisheries (sport and commercial) of tarpons. The chapters comprise clear, intricate discourses on such subjects as early development and metamorphosis, population genetics, anatomical and physiological features and adaptations, migrations, reproductive biology, and culminate with a concise overview of the world's tarpon fisheries. A comprehensive appendix includes Spotte's original translations of important papers published previously by others in Spanish and Portuguese and unavailable until now to English readers. Stephen Spotte is Adjunct Scientist, Mote Marine Laboratory, Sarasota, Florida, USA. He holds a PhD in Biology from the University of Southern Mississippi, USA. Dr Spotte acts as consultant for a wide range of institutions across the USA and internationally, and has authored a large number of books and journal articles.